Fun things to do with kids in Southern California. This week we have lots of fun opportunities for you and your family to experience. 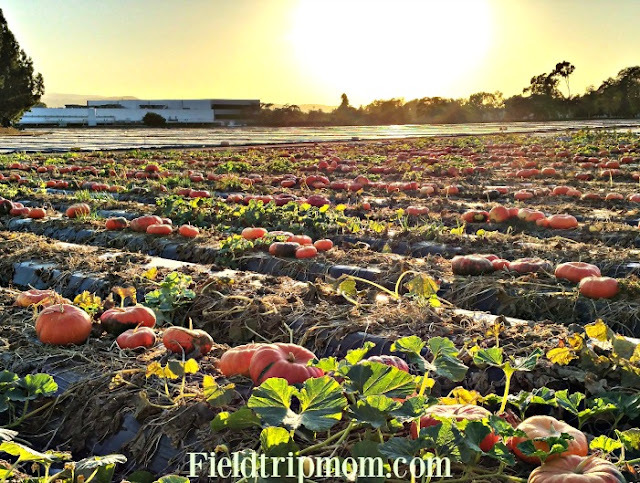 Just go to our Fieldtripmom Facebook page to get a list of fun festivals, rodeo's, and science activities for everyone in the family. Apple picking in San Diego County. Apple Season in Southern California is from August to September. Our family has been apple picking for almost (6) years. We usually drive to Oak Glen, California to pick our apples. 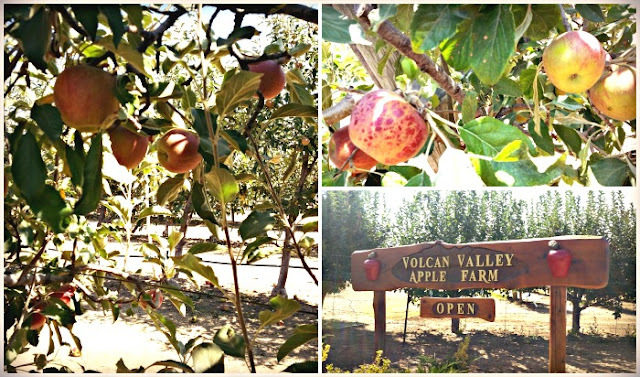 This year, we changed our family field trip and visited Volcan Valley Apple Farm in the city of Julian. The drive seemed shorter and we tried something new as a family. It was a success with everyone in our family. Let me share with you our family experience and our family photos. We arrived in the afternoon, just in time to pick the best apples of the season. We were a little surprised that the apples were small. We asked the farmer about the apples and he told us that it was because of the drought. As you know, California agriculture is going through hard times as a result of the water shortage. It was very evident on the drive to the orchard. The hills are brown and the roads have little or no plants at all. The farmer made lots of sense in explaining the crop size. The size of the apples did not matter to us because they still tasted delicious. We still found joy in picking and eating fresh apples. The farm was full of families picking apples and enjoying the day. It was great to see so many people with their families field tripping. After apple picking we headed to Julian Apple Pie Shop down the road. Picking apple was hard work and all of us were super hungry. 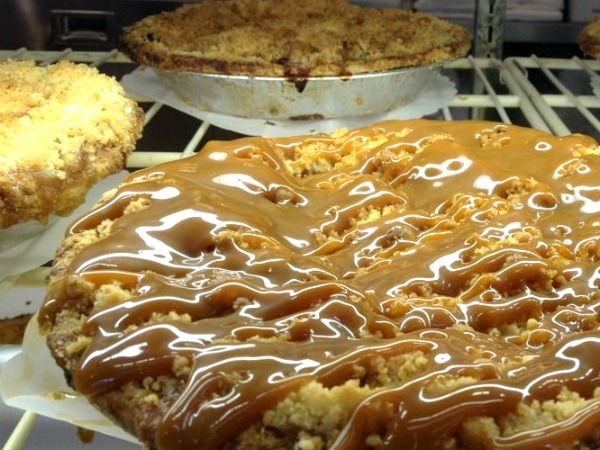 Carmel apple pie was with a small cup of coffee was the cure for this problem. Mmmmmmmmmm. The kids had milk instead of the coffee with their slice of pie. Our pie was gone before we arrived home. The pies are small...(wink, wink). OK, really our slices were quite generous. 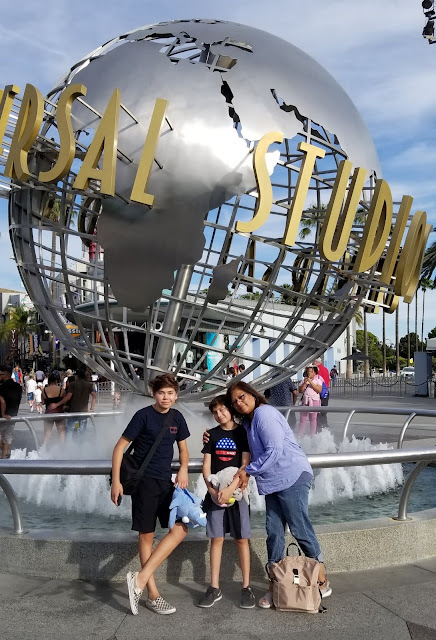 The family field trip adventure was full of delicious treats and new finds. 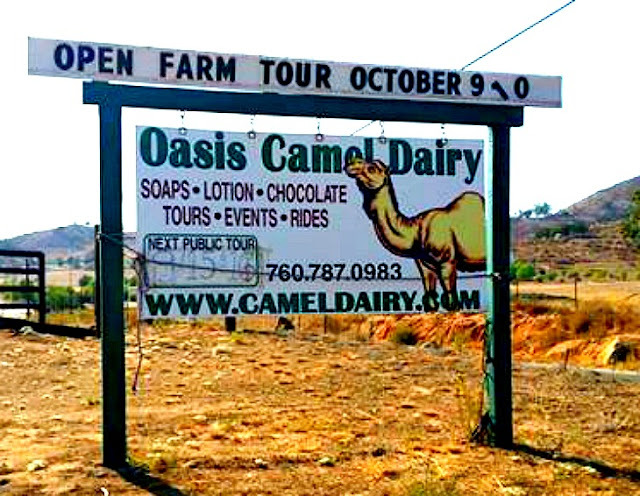 As we exited out of town, we noticed a sign for Camel Farm offering an open house next month. Camel farm, huh? We are coming back to Julian to see the camels. Can't say no to an open house with camels. Now, let's get back to the family field trip. The pick was very fruitful and tasty. 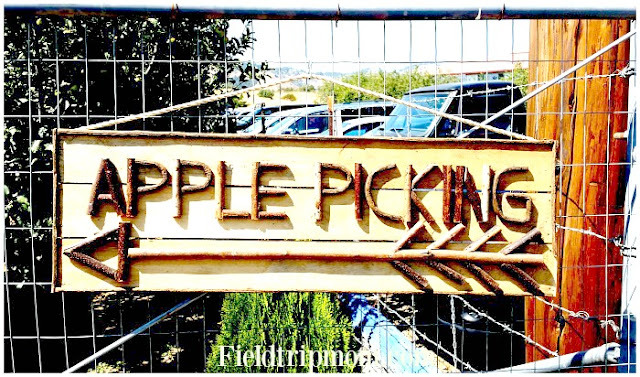 We highly recommend that you plan a trip to the apple orchards next year because this year the season is just about over in Julian. We called around to find out who was still open for picking in the Julian area and everyone that we contacted was closed. The Chamber of Commerce for Julian responded by saying that one or two orchards are still open by appointment only. They did not offer any contact information or links to apple farms. It is safe to say that the best pick for apples in Julian will be next August or September. Fresh fruit doesn't keep a long schedule. Keep that in mind when planning a trip to the local farms. Rafflecopter giveaway, "The I heart naptime cookbook." 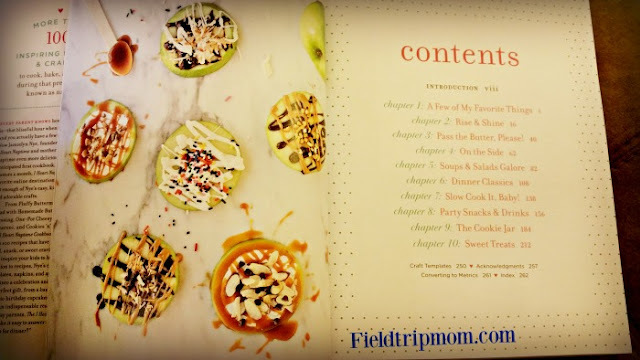 A few weeks ago, I received "The I Heart Naptime" cookbook, for review. It is filled with bright, colorful pictures that invite you to make a meal. The book offers over 200 pages of inspiring and helpful meal ideas. Our family put it to the test the other day with great results. 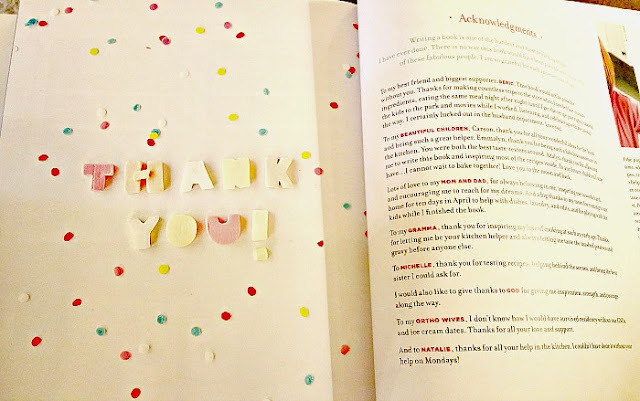 Keep reading to find out how this cookbook inspired a great family moment. The adventure began at the local grocery store while shopping for hamburger ingredients. First, we headed to the meat isle. Standing there, the kids decided turkey meat was better for the burger recipe instead of the recommended beef. The discussion over the type of meat to use for the burgers was funny because I would point to the recipe and remind them it called for beef. After several minutes of going back and forth, we agreed to substitute turkey for the beef. Then, we headed toward the bread isle to pick-up hamburger buns. Picking-up the sesame seed bun package would present another decision crossroad for my young chefs. Sesame seed bun or NO sesame seeds for our burger? The answer would be, "No". 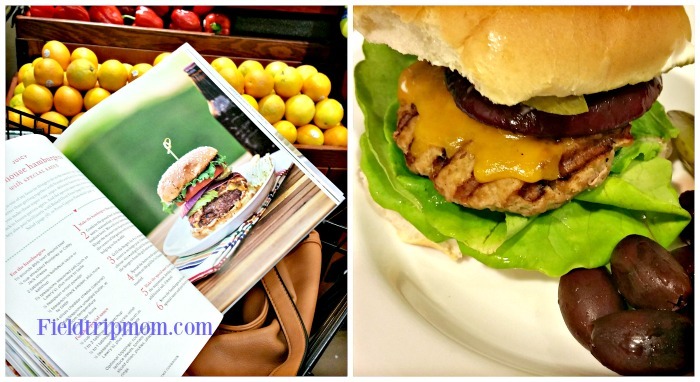 Plain hamburger buns were immediately put in our shopping cart. The final stop for this shopping trip would be the produce isle. Here we would all grab one ingredient that would help make the hamburger tasty. By the time we got to the check out line all of us were starving and eager to get home to cook our burgers. Thank goodness we all agreed to work together to quickly put dinner on the table. We spent more time shopping for the ingredients than actually cooking dinner. The experience taught us that dinner is easier with all hands on deck. This cookbook was easy to explore for both myself and my young kids. The recipes do not require special ingredients or special machines. Overall, this cookbook screams happy, colorful and very uplifting. Disclosure: Received book for review only. All thoughts and ideas are all my own. 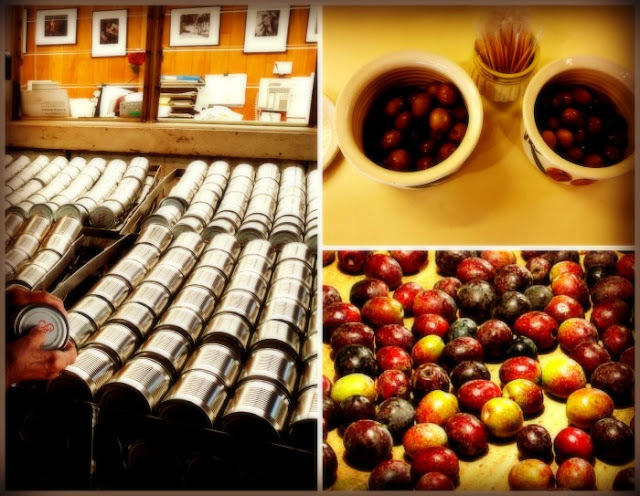 Graber Olive canning family field trip. Family field trip alert: We are regular visitors to the Graber Olive House in Ontario. Their canning season is coming up soon and they open their doors to the public. We wanted to give you a heads-up. Mid-October is the best time to schedule a family field trip. Stay tune for best times and dates to visit Graber House. 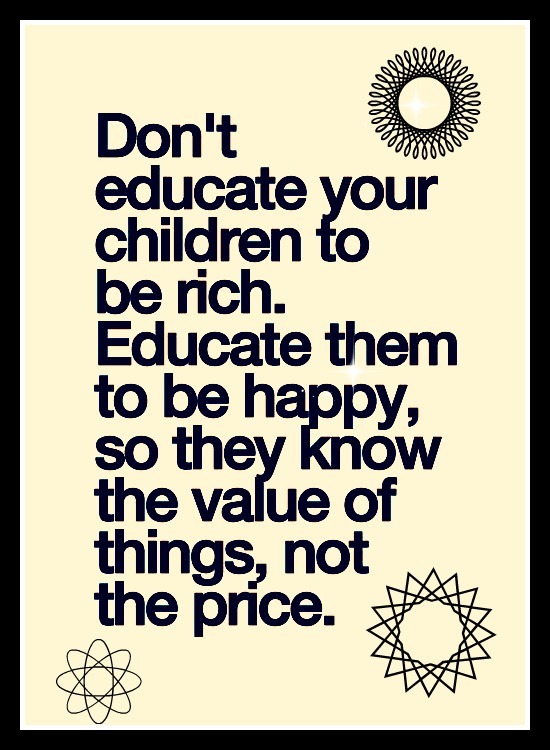 Happiness is an important part of education. Education is an important part of life. Kids learn from their surroundings and the people that care for them. Happiness is something that can be cultivated and taught through love and compassion. Remember that happiness is more important than things you can buy.